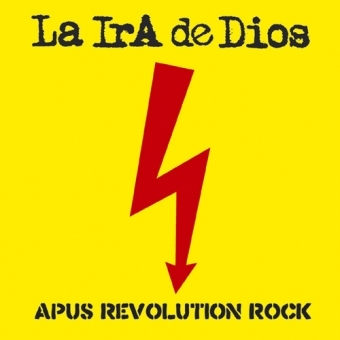 La Ira De Dios "Apus Revolution Rock" LP + 7"
Reflections of the 60s acid punk era with its catchy, raw & animalistic high energy performances. MAXIMUMVOLUMEROCKANDROLL!!! 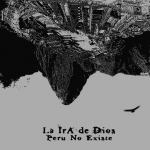 (Part 4) The Peruvian psych/space freaks are back, with some rural reflections of the 60s acid punk era with its catchy, raw & animalistic high energy performances. Can a riot be started by the slow and on low volume? 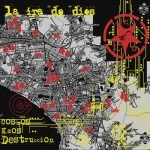 NO - the title says it all (a mix of The Clash classic and Peruvian Andean mythology). Since their fabulous debut album "Hacia El Sol Rojo" the group evolved into a mighty tight wall of sound (not just live on stage); but still keeping their sensitive feeling to hypnotize a wide spectrum of Rock freaks who like it intense! Look forward to hard driven riff/solo guitars, pumpin overdosed bass, crazy´n´wild marching tribal drums, combined with outer space effects & noises. The dark euphoria will make you stand up and dance! If you missed the MC5, The Stooges, Bored! 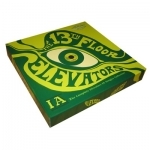 or Los Saicos good old times, this is your ticket to an extreme psychedelic punk trip. 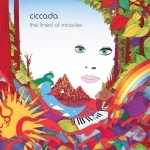 (As bonus on the CD you´ll find a cool video). Again, they are back and they want your brain for party...for revolution...cause right now is time to FIESTA & REVOLUCION!